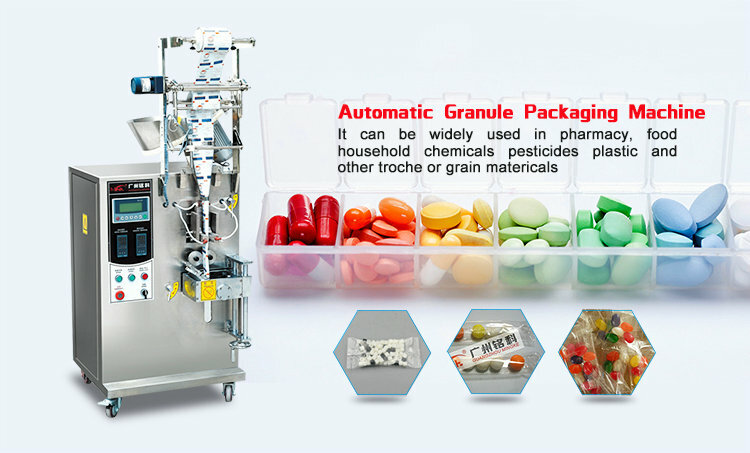 Automatic couting packing machine of pharmacy,food,household chemicals ,pesticides and the plastic products and other troche or grain materials,such as medicinal tablet,sugarcoated tablets,candy,chocolate beans,capsule,plastic bullet toys,etc. 1. 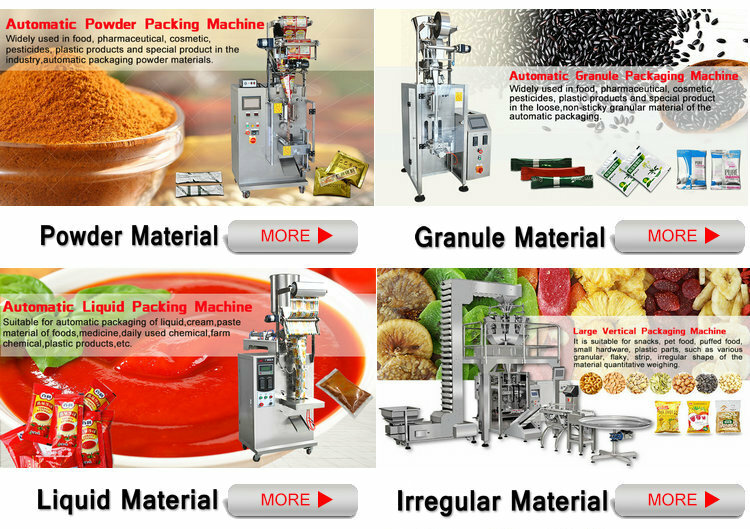 Automatic troche packing machine can finish the process like conveying bag,bag making,filling,weighing,sealing,cutting,counting,lot number,etc. 2. 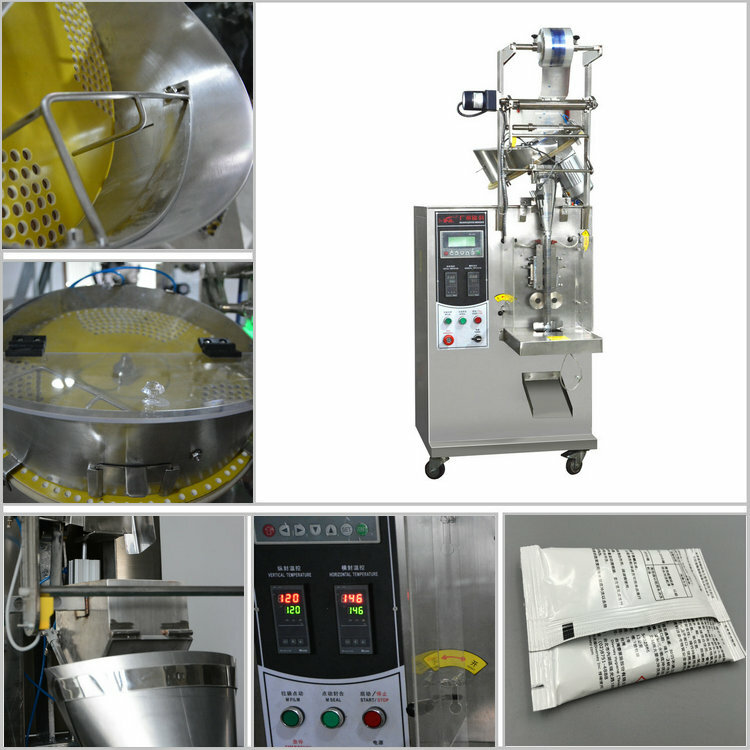 Bilingual display screen control system,stainless steel cabinet.Set up the required data(include filkling,weighing,bag size,etc) in the visuable settings,the control system automatic optimization match with all the program so that achieve the best packing speed precisely. 3. 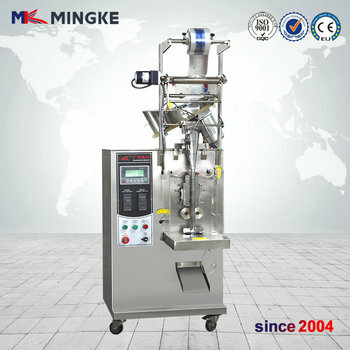 Stepper Motor control,this system has the advantage of precise,needless to adjust the other parts,and acoup sur. 4. 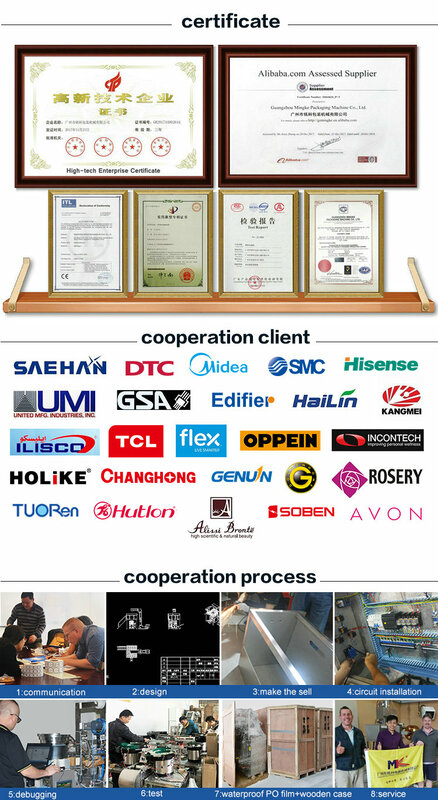 It has color system controller,so that can get the complete trade mark design. 5. 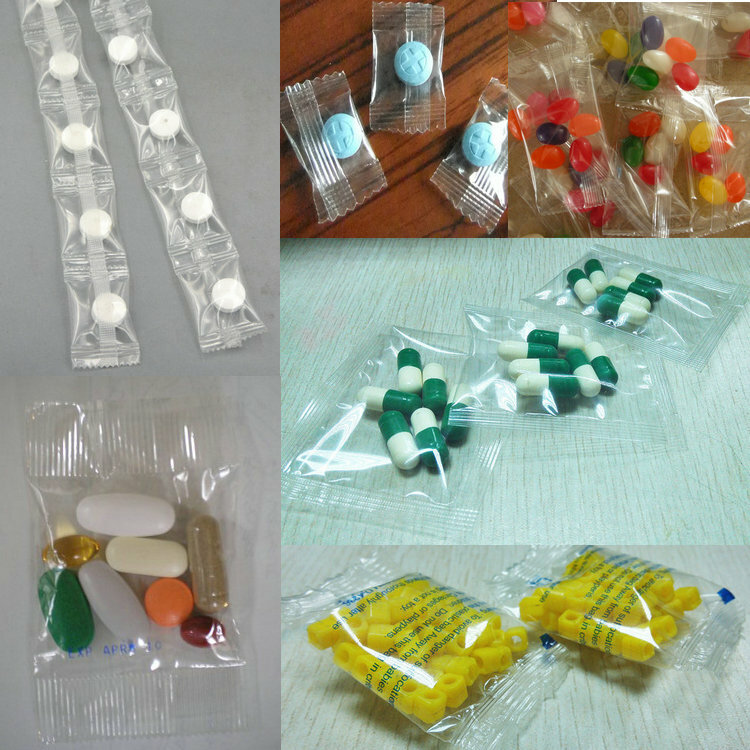 Suitable for the complex film and tin foil and other packing material.Fine packaging performance,low noise,clear sealing texture and strong sealing performance.